I'm always excited to see the new seasonal collections from long-time Bondville sponsor eeni meeni miini moh and e3-M. 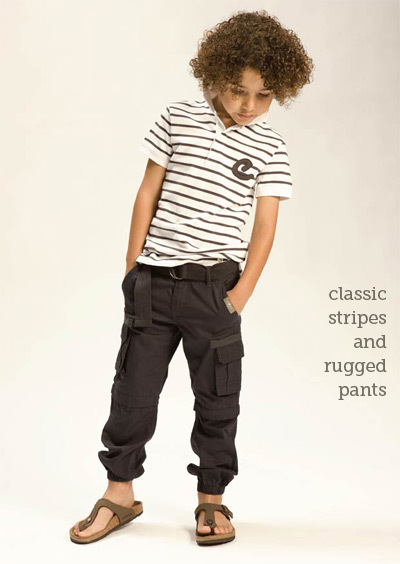 These are special pieces for kids from baby to 14 years. It really is tough for the 8-14 year olds to find fashion that works for their lifestyle and makes them feel cool without venturing into too-old territory. It's particularly difficult for girls, who are subjected to raunchy music videos and raunch culture, to find something that feels hip but is still age-appropriate and pretty too. I think founder and designer Elizabeth O'Connor-Cowley totally nailed it for tweens with this e3-M collection. The little ones are also well looked after with eeni meeni miini moh (and e3-M's smaller sizes), featuring fresh spring colours (love that tangerine! 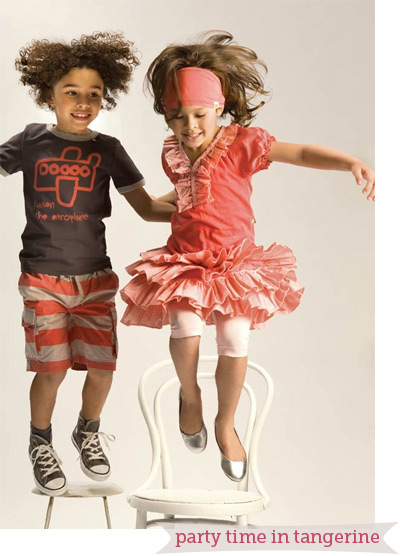 ), glorious ruffles, sweet gingham and butterflies for the girls, and aliens, robots and classic styling mixed with rugged bottoms for the boys. 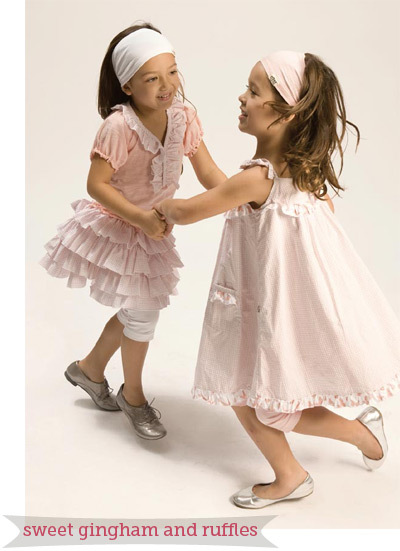 For little girls there are also gorgeous vintage-style puffed sleeve tops and dresses with body ruching, paired with impossibly cute party skirts. So sweet. The 0-24 months crowd never misses out with new designs for enfants in eeni meeni miini moh's signature jersey cotton with all the trimmings. With my favourite kids' pyjamas, underwear and accessories to round out the collection, Spring/Summer 2012 is looking pretty fabulous! See the full lookbook here. You can find eeni meeni miini moh and e3-M in the online store and select stockists across Australia.